A lithium polymer battery and USB charging port means you can do away with searching for alkaline batteries in your junk drawer and simply plug the included USB cable into a laptop or standard USB charger for up to 36 hours of flashing brightness on a 2 to 4 hour charge. Like the gold standard battery-operated Superflash that came before, this light features a 1/2 watt LED and two smaller LEDs that run in steady and attention-grabbing Turbo flash mode. A low-battery flashing mode indicates when there are 20 minutes of light remaining, and a blue LED indicates battery status during charging. The lightweight design is durable and weatherproof, and a built-in clip plus included seat post and chainstay mounts provide a variety of attachment options. Nice light, But horrible clip connetor fell off off mutliple times. 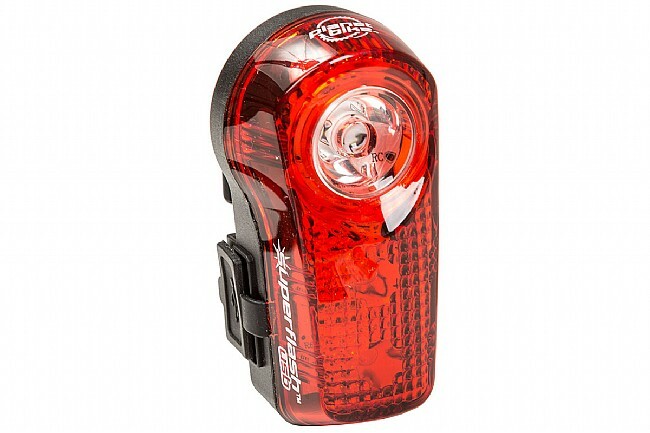 This is a great light for day or night riding. A good strong blinking pattern makes it hard to miss. And the USB charging, good price and long run times make this a light that's hard to beat. I'm using the light for early-morning rides. While I believe it definitely increases my visibility, it's not the brightest light out there. First off, love the convenience of the USB recharging. The light is very bright for daylight visibility and the blinking pattern is sure to catch the attention of motorist. I've used this light for 2 years in all types of weather. It's held up through the test of time. The rubber flap cthat covers the USB port came off about 6 months after I bought it. It still works, even in the wet. It's basic, just two options, solid red or flashing. Motorists see me. I know, I have to pull into driveways so little old ladies will pass me, they might think I am superman. I don't know where Planet Bike comes up with their battery life time. Mine lasted about 12 hours, it went dead in the middle of a ride. Light is not as bright as the Super Flash AAA battery model (I have both), but bright enough. I plug mine into my computer after each ride so the battery is always charged. One problem I have to to remember is to turn the darn thing on before I take off for a ride. This will make you visible, but it might attract the crazies who want buzz you (the three feet law is a joke in Ca). However I feel safer knowing the I am visible. Most roadies in my neck of the woods have some type of lighting system. This cost a tad more than the battery version, but not having to scrounge up 3AAA batteries every few weeks is a big plus.Excellent value I might add. Inexpensive usb rechargeable and bright light. 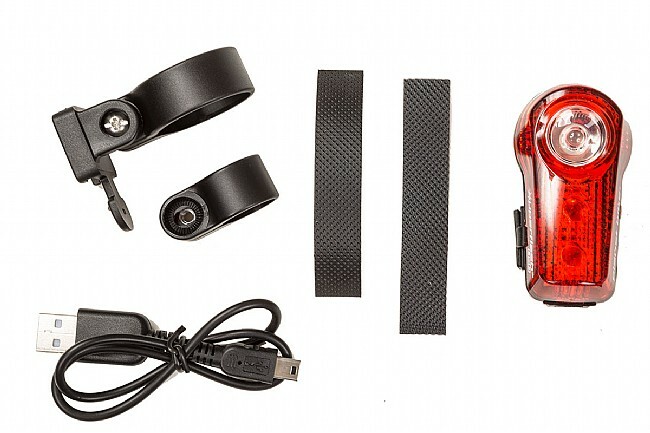 Attention grabbing, rechargeable rear flasher! I commute in the Lynnwood -North Seattle area. Knowing this flasher is back there makes me safer in traffic.